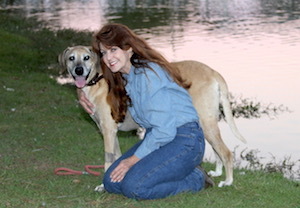 Patti began her investigative career in 1988 working for one of Houston’s largest investigative firms. Although her education and training was not related to investigations or law enforcement, she had the natural instinct and ability to become a successful investigator. After working for Stanley Krist law firm as a staff investigator for another year in 1991 Patti James Investigations was formed. From the onset one of her goals was to shine a more ethical and professional light on the private investigations business in general. To further that goal she joined TALI in 1991 and first became TALI Secretary, then went on be Vice President, President, and finally Chairman. TALI’s board of director structure was different in the early days. Under her tenure as President, The Texas Investigator was born. She served on numerous committees, over the years including the original TCI Committee, and helped write the first two tests. Patti became a Certified Legal Investigator through NALI in 1995. Most recently, after a satisfying career as an investigator for many years, she was appointed by Governor Greg Abbott as Chairman of the TXDPS Private Security Board. As long as she is involved in investigations, she will continue to strive for professionalism and integrity in the PI industry. How long have you been a member of TALI? What do you enjoy most about TALI? What is your favorite tip for someone in Private Investigations? Go the extra mile. Just when you think you have the case solved or finished - check things again. Don’t trust database information alone. Don’t simply give the database information to your client. Follow through by proving the information and verify it every way you can before you report it as accurate . There is not a typical day! You can plan and map out your day but something will always come along to change it! Most attorneys need it yesterday and they think poor planning on their part constitutes an emergency on mine!